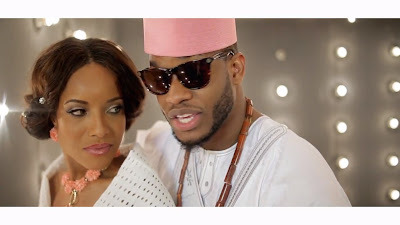 I'm not a big fan of either Lynxxx or Wizkid's music, but I loved this video. OK, let me qualify that. I like Lynxxx. Who can't help but crush on such a fine specimen of bobo nkiti? The guy is just too clean, some people will say God made him on a Sunday. Back to the Fine Lady video, LOL...though the music is so-so, the quality of the pictures and the setting made it stand out. But that's not the main reason I liked this video. Who can guess?